This is not a habit, this is a lifestyle. Don?t just wake up early without a purpose. Be early. Be there before others. Look for opportunities and embrace them. Waking up early means keeping your eye open to every available opportunity. This is not a contest: who is waking up earlier than the other. This is a new perspective: being there before any other person will. Being first at your own business office before your employees. Creating a certain type of value before somebody else does it. Many people think that just by waking up early they?ll be better. That?s not true. Waking up early without a clear purpose will just clear some more time for procrastination. First, find out what you want to do with your life, than squeeze every second of time doing it. Waking up early means in fact creating your day, instead of taking it for granted. I’ve been an early riser for many years now. I wake up at 5 AM, even during week-ends. And I feel great. Between 5 AM and 8 AM I do the things I consider to be the main engine of my life at that moment. For a few years I wrote. There are more than 750 personal development article on this blog (that you can read absolutely free) and the vast majority of these articles were written very early in the morning. Right now I run. 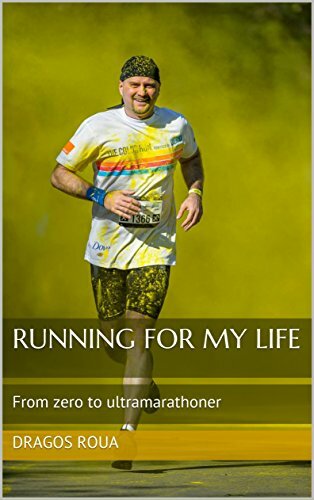 During the last years I started to incorporate running as a lifestyle in my life and so far I finished 3 marathons, 3 half-marathons, an ultra-marathon and few other smaller races, 5k and 10k. On a normal week I run between 40 and 60 km. But during these years I learned there are two things you need in order to make this habit stick. Because, even if you manage to incorporate the bare alarm clock thing, if you don’t tie this waking up to something more consistent, you’ll fall down. Eventually. So, here’s a two steps approach that worked for me. Feel free to adapt to your own routine. Find a device you trust. Something that will be loudly enough to be heard in the morning but also something that will be valuable enough not to be thrown away. Like a smart phone or an intelligent watch. I’m not kidding. It’s important to have a close connection with your waking up device and not succumb to the temptation to destroy it. Set up the alarm at 5AM. Or at 6 AM. I don’t go for stages here, just go cold turkey, aiming directly for the hour you want. If you want to wake up at 5 AM, don’t do baby steps. Just put the alarm clock at 5AM. Then go to sleep. If you usually go to sleep at 2 AM, don’t change it. Do exactly as you did before. But wake up at 5 AM. When the alarm sounds just wake up. If you went to bed at 2 AM it will be brutal. Well, it is supposed to be like this. If you’re not falling back to sleep again (which I really hope you won’t) you’ll feel like a zombie the entire day. Walk through it. And, very, important, don’t fall asleep. Don’t take power naps. Just be awake until the evening. Follow this routine for a few days or weeks. After a while, you’ll reach a tipping point.You’ll either fall down to your old patterns, or, and I hope you’ll go this way, you’ll eventually go to sleep way earlier. And that will close the circle. In my experience, if you want to have a pleasant wake up at 5 AM, you should go to sleep somewhere between 9 and 10 PM. That’s the routine you should keep right now. That’s the second part of this approach and that’s the glue that will make the habit stick. Because even if you’ll make it through the “go to sleep earlier” stage (which is a big victory by itself) if you don’t do something between 5 AM and the hour at which you’ll usually start functioning socially (like going to your job), you’ll fall back. You’ll be bored. You’ll feel like you wake up early for nothing. It may work for a while, but if you don’t fill up that time with something meaningful, it won’t stick. This 3 hours interval is a very precious one. It’s your genuine life. You don’t have to report to anybody about what you do during this time. You’re free. Make this freedom count by doing a big project. If you intend to change your career, study. If you want to become an entrepreneur, work at your business during those hours. Just fill the time with something that you’re genuinely involved in. I used this time to write and to run, two of the most healthier habits that I ever incorporated into my daily routine. Both changed my life on so many levels: from health to finances and from social interaction to personal satisfaction. A recent thought that traveled my mind was the best time to wake up in the morning. Waking up at 5 am seems to be a goal I want to achieve, but I usually wake up at 7 or 8 am when I oversleep. The reason for this is because I gain most of my motivation and energy at night, when it’s dark and I don’t have much interruptions. But another time of day I enjoy because of how calm and soothing it is is the early morning. So I’ve been taking baby steps to reach that goal, setting the alarm earlier every night and learning to hop out of my bed versus hitting the snooze button.